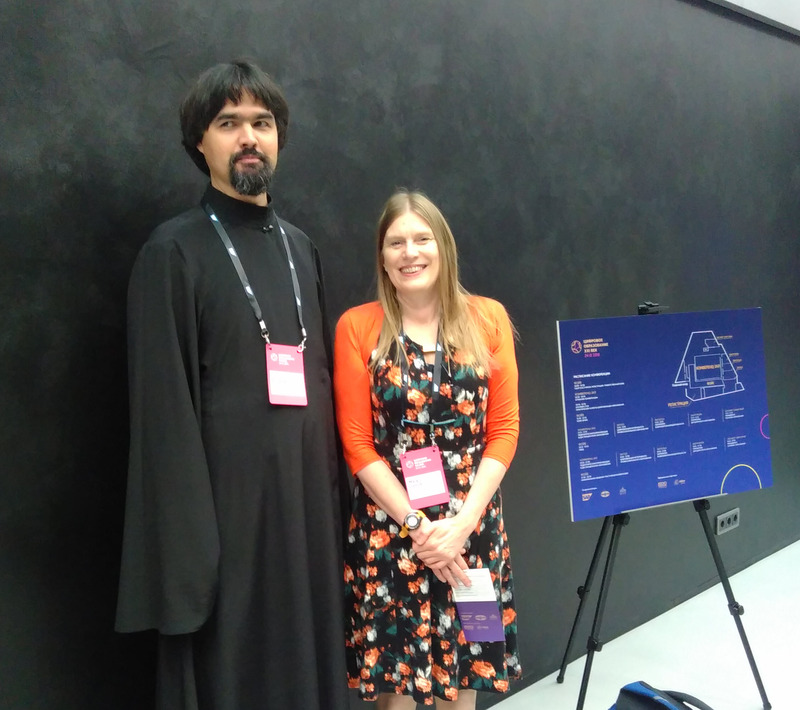 One of the organisers, priest, theology lecturer and Moodle fan, Father Gennadi Egorev of St Tikhon’s University completed our 3.4 MOOC in January and felt the philosophy and pedagogical outlook of Moodle well suited his own approach and the approach of the conference. 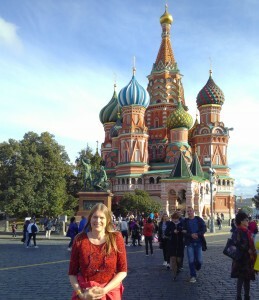 So it was that on Sunday I arrived in Moscow – my first time- and was fortunate enough to have the afternoon and evening for some whistlestop sightseeing before the work began on Monday – a walk around Red square with my excellent guide Evgenie and a pre-conference dinner in the form of a river cruise with magnificent views of the sunset. In line with both Gennadi’s and Moodle’s approaches, the conference was not a series of presentations with barely time for questions. it was a series of round tables (or круглые столы as I now know in Russian), parallel sessions on various topics. Each speaker had already submitted a paper or short presentation which conference participants should have familiarised themselves with in advance. 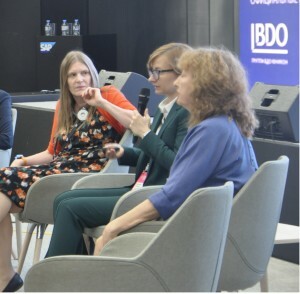 I was on an all-woman panel facilitated by both Gennadi and Professor Mark Brown of the National Institute for Digital Learning, Dublin City University. Our discussions ranged from my own Supporting non-native English speakers in an English-speaking MOOC to concerns and definitions of competency-based education, successful forms of assessment, and wider digital footprint issues. Communication is vital, be that in English as an international language or in your own language (which shouldn’t be neglected in the face of anglophonic imperialism), communication with faciliators being available out of hours to support students, communication with students using various channels to discuss and communicate (and we considered the pros and cons of those) and of course, communicating progress via different types of assessment and competencies. Communication was apt in this conference as it was entirely in Russian apart from my own and Prof Mark Brown’s contributions. 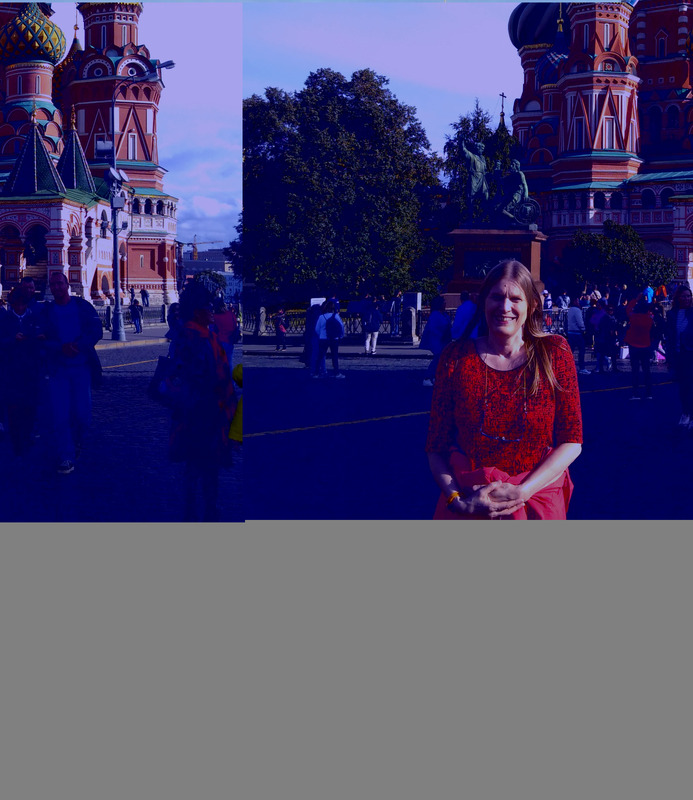 I was torn between listening to the speakers and understanding as much of it as I could (after another three weeks in St Petersburg I am working towards B1 CEFR) or putting on headsets and getting everything, essential in order to be ready to respond. There was universal agreement about the importance of supportive and responsive facilitation in online courses and some interesting experiences of students these days being less ready to write and think at length – is it because of frequent use of short messaging services like text and Whatsapp? Is it because everything is so available from Google that they are not used to thinking? How far can a course facilitator guide and coach them – where does this preparatory work begin? Some participants raised the issue of some teachers still being unwilling or uncomfortable delivering learning in any way other than lectures – the Moodle equivalent being lists of Powerpoints. 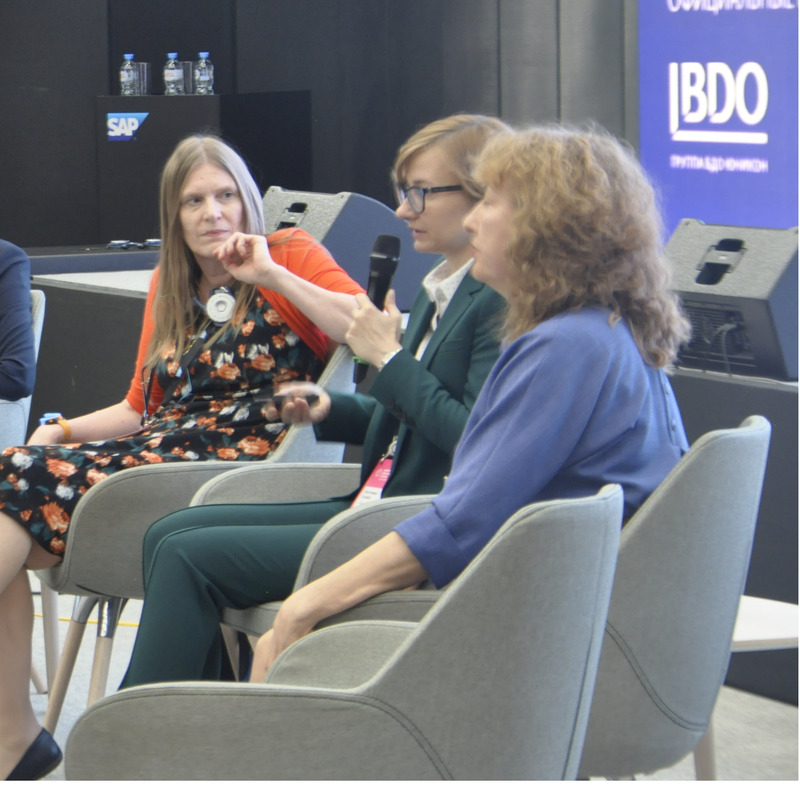 Mention was made of the need to upskill some teachers digitally – this was a nice opportunity to mention the European Community Digital Competence Framework for Educators, and the work done by HQ with the Moodle Educator Certificate in the wider Learn Moodle program. Professor Mark Brown also reiterated the UNESCO four pillars of learning. 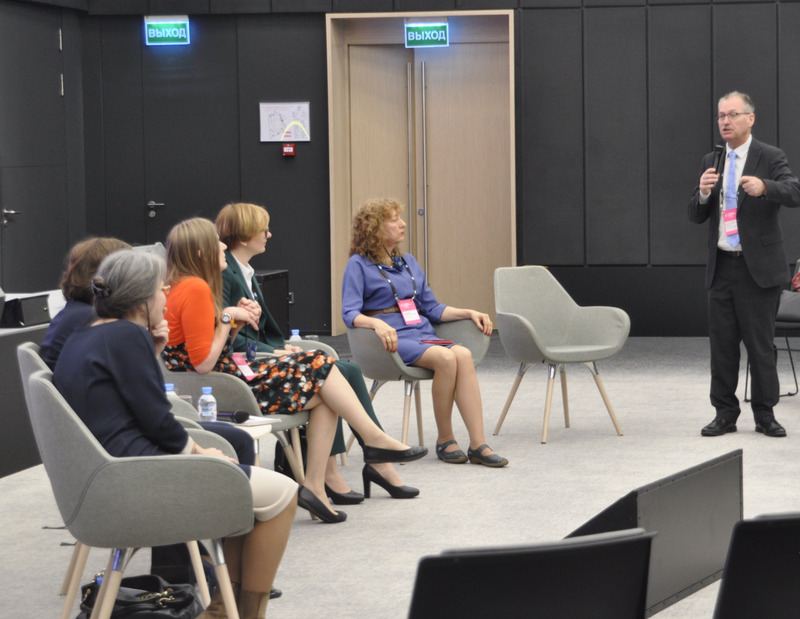 At the end of the session, participants were asked to give feedback on the format, with Prof Brown reminding everyone that this too is an essential part of the learning process, both for students and teachers – yet more Communication. This entry was posted in Moodle on September 26, 2018 by admin.